In this magnificently illustrated cultural history - the tie-in to the PBS and BBC series The Story of the Jews - Simon Schama details the story of the Jewish experience, tracing it across three millennia, from their beginnings as an ancient tribal people to the opening of the New World in 1492 to the modern day.It is a story like no other: an epic of endurance against destruction, of creativity in oppression, joy amidst grief, the affirmation of life against the steepest of odds.It spans the millennia and the continents - from India to Andalusia and from the bazaars of Cairo to the streets of Oxford. It takes you to unimagined places: to a Jewish kingdom in the mountains of southern Arabia; a Syrian synagogue glowing with radiant wall paintings; the palm groves of the Jewish dead in the Roman catacombs. 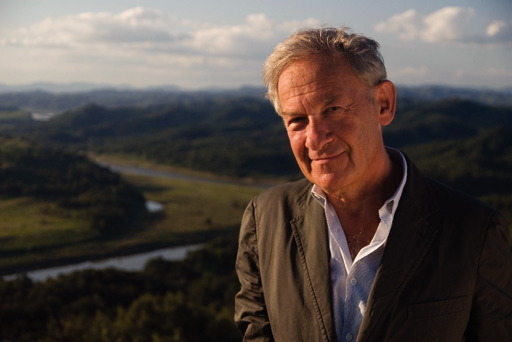 Simon Schama was born in 1945. The son of a textile merchant with Lithuanian and Turkish grandparents, he spent his early years in Leigh-on-Sea in Essex. When his parents moved to London he won a scholarship to Haberdashers' Aske's School where his two great loves were English and History. Forced to choose between the two he opted to read history at Christ's College, Cambridge. Here he was taught by Sir John Plumb whose other students: Linda Colley, Roy Porter and John Brewer are now central to British historical thought. It was Plumb's influence which instilled in him the importance of narrative and written style in order to gain an audience for history outside academia. One of the hallmarks of Schama's work is his flair for description: 'he gets arcane matters to walk, in fact dance, off the page' according to fellow historian Peter Hennessy. However, his approach is contentious and invites criticism of subjectivity and populism from academic circles. Schama remained at Christ's for 10 years after his degree, becoming a fellow and then director of Studies, before moving to Brasenose College Oxford. While at Oxford he wrote (1977) , which won the Wolfson Literary Award, and (1979) . At Oxford he met his wife, Ginny Papaioannou a geneticist from California. Tired of the Oxford system (he once described his experience as being 'like a gerbil on a treadmill') and enticed by the freedom of US Academic life, he moved to America in 1980, becoming Professor of History at Harvard. Here he wrote (1989) and (1991) : an a unusual linking of the death of General Wolfe at Quebec in 1759 and the murder of a doctor, George Parkman, by a Harvard Professor in 1849. , which was written at lightening speed: 900 pages in only 18 months, won the 1990 NCR Book Award. However, Schama's emphasis on the terror and violence of the revolution and his argument, that from its beginning it was a '', ensured it has never found a publisher in France. He is now professor in history and art history at Columbia where he has written (1996) which received the W H Smith Literary Award and Rembrandt's Eyes (1999) . The latter is a controversial reassessment of the artist which attempts to reinstate the notion of Rembrandt the genius, aiming to invoke the atmosphere as well as the historical context. In Schama's view, as he tells David D'Arcy in Art Newspaper 'Simon Schama has also worked for the BBC on a 16 part series: '' and has been an art critic and cultural essayist for and magazine. He lives in New York with his wife and their two children Chloe and Gabriel.